When it comes to elderly care services or in-home care, you want to make sure you choose the agency and the caregivers that fit best with your needs. South Capitol Cottage might just be the perfect fit. 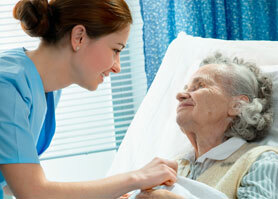 Our agency has an exemplary staff and support team that provides a wealth of personalized in-home care services. Our mission is to help ensure you, or a loved one, maintain independence at home. As a leading in-home care provider for families throughout the greater Adelanto region, South Capitol Cottage is proud to be able to make a difference. Whether helping out a couple hours a day or providing live in companion care, we provide exceptional and reliable care services. Few things are as important as feeling safe at home and in charge of your own life. That is exactly what you want and exactly what we help enusre. Call us today at 951-662-3026 to set up a free in-home consultation. Working full-time and caring for my mother-in-law was becoming really difficult. The care South Capitol Cottage provides her really helps her and helps us maintain our lives, too. The level of professionalism and dedication your caregivers have is outstanding. My father is doing really well because of your care. Thank you!